We can argue a long time about the best albums of the year, or the most innovative ones, because nobody has listened to everything and tastes differ of course. It's the same with the somewhat arbitrary list of "Musicians Of The Year", a list drawn up by myself, based on the quality and variety of the music presented by some artists this year. Here is my list, with some explanations of why these musicians have outdone themselves, to the joy of their fan-base. 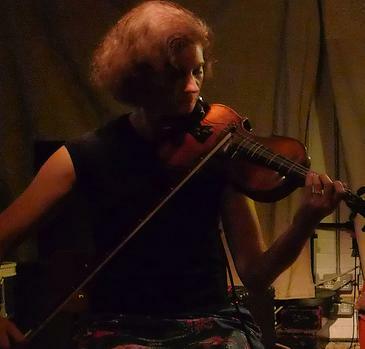 Some of the luminaries of the British free improvisation scene demonstrate that creativity and open-mindedness do not dwindle with age, and then the younger generation with solid and upcoming talent. They all surprised me this year, and of course very positively. 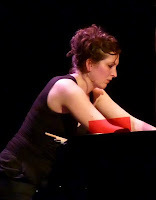 The revelation of the year was French pianist Eve Risser, and that should be no surprise to readers of this blog, but I was personally also entranced by the new music direction that the British violinist Angharad Davies presented, as well as by Ingrid Laubrock's prolific participation on some of the most noteworthy albums of the year. I will start with the ladies, out of courtesy, but there is no ranking in this overview. For many of us she arose out of nowhere to bring one of the most acclaimed albums of the year, "En Corps" with Benjamin Duboc and Edward Perraud. It blew me to pieces the first time I listened to it, and it has kept doing that. It's not because I did not know her that this is her first album, quite to the contrary, and she released albums before with Polish bassist Rafal Mazur, or with bands like Donkey Monkey and Fenêtre Ovale. 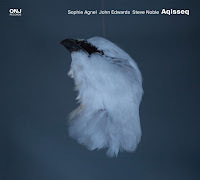 British violinist Angharad Davies released two albums in the more minimalist genre but both of outstanding quality, "Outwash" with Tisha Mukarji and Dimitra Lazaridou-Chatzigoga, and"Ist Gefallen In Den Schnee" with Skogen, and "Pluie Fine" with Cremaster Duo. Like Risser, Katherine Young, Mary Halvorson, Magda Mayas, Hannah Marshall and many more, she is among the most daring young female artists, with a clear and solid vision on what sound can sound like. Even she did not release any new material under her own name, 2012 also seems the absolute breakthrough of German saxophonist Ingrid Laubrock, with "Union" by Paradoxical Frog, "Catatumbo" with Javier Carmona & Ollie Brice, "Haste" with Veryan Weston and Hannah Marschall, , "Camino Cielo Echo" with Tom Rainey and Mary Halvorson, and "Old Myth/New Science" by Living By Lanterns. Her way of playing the tenor is something else, something new, quite expressive and adventurous, unharmed by too much training, and it's this raw authenticity that makes her music appealing. From the classical "Tales Of Enchantment" with his partner Maya Homburger, the impressionistic miniatures on "Games And Improvisations" with Katharina Weber and Balts Nill, "Hexentrio" with Paul Plimley and Lucas Niggli, to the more extravert "Lava" with Liudas Mockunas, and the explosive "Metal" with The Thing, Barry Guy adds musical value in whatever genre or line-up he performs in. His playing is as precise as it is creative. And on top of this, he is also as part of Evan Parker's ElectroAcoustic Ensemble in the excellent "Hasselt". 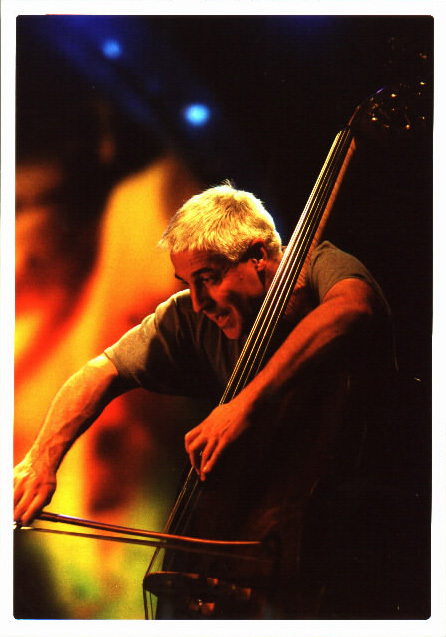 He also performed with the Glasgow Improvisers Orchestra on "Schweben - Ay, But Can Ye", and the album "One Four and Two Twos" brings us some older performances by John Stevens, Paul Rutherford and Evan Parker. In short, a prolific year for the British bass-player, but primarily with outstanding records. His fellow countryman and long-time musical partner Evan Parker also had an astonishing year in terms of quality and quantity of output, with no less than ten albums and we may have missed a few. His ElectroAcoustic Ensemble released one of the most innovative albums of the year with "Hasselt", he was the invited star on "Vivaces" by Grand Groupe Régional d'Improvisation Libérée, but he also shone in smaller ensembles, such as All Told's "Meetings with Remarkable Saxophonists" with John Edwards and Eddie Prévost, and the stellar "The Bleeding Edge" with Okkyung Lee and Peter Evans, "Live At The Vortex" with Foxes Fox, a fabulous duo with Agustí Fernández on "The Voice Is One", an equally stunning trio with John Coxon and Eddie Prévost on "Cinema", with George Graewe on "Dortmund Variations", on "Improcherto" with the Glasgow Improvisers Orchestra, and then the release of older performances with John Stevens, Paul Rutherford and Barry Guy on "One Four and Two Twos", and the re-issue of "Supersession" with Barry Guy, Eddie Prévost and Keith Rowe, all of those still to be reviewed. He produes more albums than we have to review. Nate Wooley has always been one of the stars on this blog, yet now again he is part of the best albums of the year, with RED Trio on "Stem", with Christian Weber and Paul Lytton on "Six Feet Under", his very adventurous solo albums "(8) Syllables", "The Almond", then his collaboration with Bruno Duplant and Julien Héraud on "Movement & Immobility", and in a more traditional format on Harris Eisenstadt's "Canada Day III". 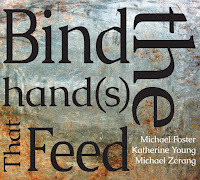 Some absolutely fascinating recent work by him still needs some review on this blog, but they are in the pipeline : "The Nows" with Paul Lytton, "Instrumentals" with Peter Evans, "From The Discrete To The Particular" with Joe Morris and Agusti Fernández, and on Ingebrigt Haker-Flaten's "NY Quartet". 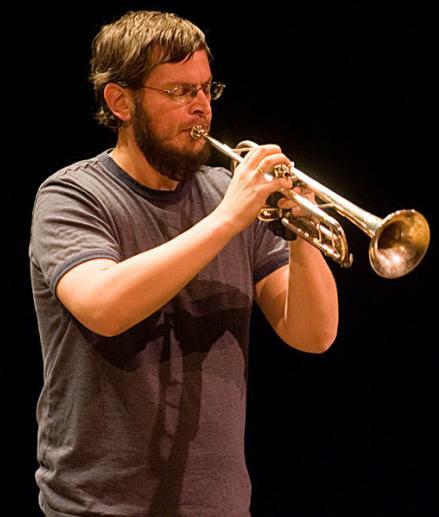 You have a number of musicians who are part of the scene, or who manage to create their own voice and carve out their own space in music, yet Nate Wooley is at the absolute center of it, shaping future style, contributing to music history and influencing lots of other musicians with his sometimes uncompromising approach ... like Barry Guy and Evan Parker. You can sometimes question what he's doing, but I guess that's what it means to be boundary-breaking. A couple of other musicians also stand out, but because they were already among the "Musicians Of The Year" before on this blog, we will just mention them. The first is Martin Küchen who continued to deliver fantastic albums with Angles 8 "By Way Of Deception", on his solo album "Hellstorm", or with the Trespass Trio's "Bruder Beda". 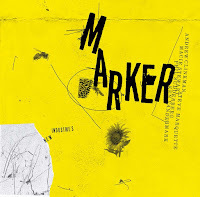 The first two of those albums figured on this blog's top-10 of the year, a major achievement. The second worthy mention is for bassoonist Katherine Young, who also figured on our "Musician Of The Year" list before. 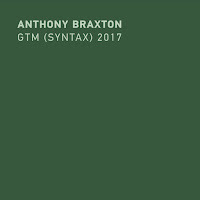 She confirms her idiosyncratic approach to the instrument, and her search for new musical languages with "After Party - Releasing Bound Water From Green Material ", "Pretty Monsters", and Verdure Into Onyx. The third person is Wadada Leo Smith, less prolific, but with such superb quality that he's worth a mention again : "Ancestors" his duo album with Louis Moholo-Moholo, his unique "Ten Freedom Summers", and with again a totally different sound on "Dark Lady Of The Sonnets" with Min Xiao-Fen and Pheeroan AkLaff. Have I missed some musicians? Sure, truckloads of them. Yet I just wanted to select the ones really worth looking for. With the abundance of new material being produced, it's good to have some anchor points. Listen to the musicians mentioned above. They shape listening. An excellent list, Stef. I especially like the mix of generations. There's no question for me that En Corps is the album of the year, and apparently a big majority of readers agree. I was over at squidco.com, and noticed that they were out of copies of it, and expecting more soon. I hope that means it's selling a lot. Katherine Young has also been getting a lot of listens from me this year. Aside from Pretty Monsters, I finally picked up Architeuthis Walks On Land, which I'm really enjoying. One name I'd like to mention is Frantz Loriot, who was on 3 excellent albums this year, all reviewed here. Good selections,but John Butcher's releases,tours were all incredible and he's deserving of a nod,plus a disc I recently got in the mail is the best I've heard in years,'Gestalt et Death'-A23H and Dead Country. excellent list and i like the artist based approach better than the album based one. artist > label > album. thought about this one while listening to foxes fox's live at the vortex album. the recording quality of this album is horrible. flat, dimensionless, compressed. you cannot turn the volume up, you cannot turn it down. (there are many albums like that. 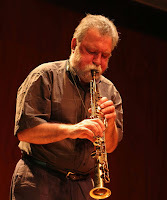 i mentioned this one because evan parker is a personal fave). you must be aware of the loudness wars http://en.wikipedia.org/wiki/Loudness_war. i know many of the reviewers here enjoy vinly and good sound quality. just give us the heads up if an albums sounds better or worse than the average. i am writing because i know few other things in life better than mcphee's sax or léandre's bass floating between your speakers or headphones. it is equally disturbing when a modern recording does such a disservice to these distinguished artists. Thanks all! I agree on Butcher ... and I also agree on the sound quality. If I find it's below standard, I surely mention it, because I think listeners deserve quality. It's up to the labels to ensure that aspect of the listening experience. If I was working from your list only, I would surely give Ingrid Laubrock the nod. 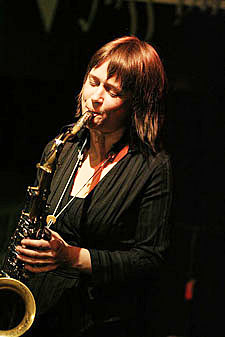 Sh has worked her way from the margins to the center of the New York free jazz scene, and has improved on every outing. But there is one musician, another woman as it happens, who really deserves an endorsement, and that is Mary Halvorson. A clutch of excellent albums of her own, as well as with others (with Ingrid, as a matter of fact, on "Camino Cielo Echo), Halvorson has moved to the center of the scene. Top 3 show from last year was Laubrock, Halvorson & Rainey at The Stone. Also saw Ingrid and Mary in other bands - with Mary's Bending Bridges band wonderful. But nothing like that great trio as Rainey and the two great younger women blew the roff off the little place. Rainey's best performance of the year live for me along with Open Loose. I was going to but the newish Foxes Fox until I heard about the sound quality. 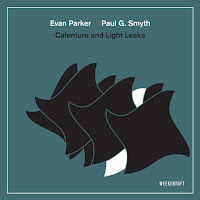 I have the original 1999 recoding and it is among my favorite Evan Parker recordings. My vote goes to Jeb Bishop as the player that really came alive in 2012. On recordings and in performance Jeb has really found a voice that's unique to almost anyone much less trombonists. His work with Jorrit Dijkstra on Driff, as a duo and with the Whammies, was some of my favorite of the year. There were also the excellent Rodrigo Amado Motion Trio & Jeb Bishop, Jeb Bishop & Tim Daisy duo, plus his invaluable contributions to Paul Giallorenzo's GitGO and the Josh Berman & His Gang record. That's a lot of stellar work in one year for any musician.